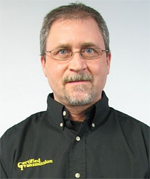 Jody is a Warranty Technical Advisor, and has been with Certified Transmission for over 25 years. Jody has seen and handled a lot of situations during this time, so he has a wealth of knowledge & experience to share! It’s not a great feeling when you finish a transmission job on a customer’s vehicle, go out on a road test, and then find out that you still have the same problem that the vehicle was originally brought in for. To add to the issue, the car just isn’t working like it should. Obviously, if the vehicle you are working on was towed into the shop, and when diagnosed, it didn’t move either direction because something internal in the transmission broke, then these codes probably didn’t have anything to do with the failure… or did they? All too often I see a critical mistake being made when checking out vehicles like this; the one that is towed in to the shop with a failure like this, but the technician failed to check codes prior to working on the vehicle. I don’t know about you, but I paid a lot of money for my scan equipment, and I’m not about to let it gather dust sitting over on my tool box. I hook a scan tool up to every vehicle I check out, regardless of whether or not it has any warning lights on, and regardless of whether or not it was towed in for a no movement condition or barely moving because it was in a failsafe condition. Knowing what codes are stored in the system prior to working on the transmission is going to be valuable information, especially when the job is completed and the vehicle or transmission still does not function properly. Let me give you some examples of what I’m talking about. These are not just ones that I get a call on once or twice a year; they are vehicles I get calls on every week. The following vehicle issues are model and year-specific, but that doesn’t mean that you have to be working on the exact same model or year to have this type of problem. Case #1: 2004 Nissan Maxima 3.5L with an RE5F22A Transmission. At install, this transmission was in failsafe mode, starting off in 4th gear. There were no warning lights on, and it was not setting any codes. Our first thought was it must be the type scan tool we were using, so we hooked up an OE Consult II, had the same results: no codes. We did, however, notice a PID for failure mode and it said failure mode 4. This mode basically means “failsafe”. Failure mode 4 usually has to do with something electrical, possible voltage loss etc. Normally I would have started doing electrical checks, but on this one I cheated a little. I had previously attended a seminar and this problem was discussed, which lead me to go directly to the source. It happened to be a faulty A/T ignition relay. We have also seen faulty range sensors cause a failsafe condition and not set any codes. Monitoring scan tool data for the range sensor and performing a wiring wiggle test will help you find the problem, in these cases. Case #2: Dodge Sprinter Vehicles with the 722.6 Transmission. These vehicles may have multiple speed sensor and CAN communication codes. If you are currently working on a lot of these vehicles, you’ll know what I’m talking about here. I have seen a lot of shops get bitten by these codes, because they will cause various transmission shifting concerns and also send you searching for a transmission problem that’s just not there. You may also discover that your generic scan tool may not be able to clear these codes. Sprinter vehicles are good candidates for pulling codes prior to, and after, repairs are made. We have had several of these come in which ABS speed sensor codes are causing the transmission to have wrong gear starts, and not upshifting properly. To compound the problem, our generic scan tool would not clear the codes. Once the ABS speed sensor was repaired and codes cleared with OE scan tool, the transmission started to function properly. Unfortunately, that was not before the transmission had been replaced to address this issue, and then also having replaced the input speed sensor on new transmission. Another cause for concerns and erroneous codes with these transmissions is having transmission fluid contamination in the PCM. This is rather common. What happens here is the case connector of the transmission fails and allows ATF to leak through the connector. The fluid gets into the vehicle harness and will actually wick up the harness and into the PCM. The PCM does not play well when it’s full of ATF. You are more than likely going to end up purchasing a new PCM when this happens. Case #3: 2006 Nissan Pathfinder with an RE5R05A Transmission. This particular vehicle had just received a remanufactured transmission, because a no crank/no start concern was incorrectly diagnosed as a failed TCM in the transmission. Unfortunately, the new transmission equipped with a new TCM did not fix anything. The original diagnosing shop was still blaming the remanufactured transmission as being the problem. Noting that this unit had a new OEM Nissan valve body/TCM installed, and after double-checking to make sure it was the correct part number for this vehicle, it was decided that this issue was probably not an issue with the TCM, but rather a loss of power or ground to the transmission. For the purposes of this article, I’m not going to go into great detail as to all the circuits we checked, so I will leave that for a future article, but here is what we found: we first hooked up our scan tool only to find out that we had no communication with the TCM. In some cases, this issue could be related to the TCM, but knowing it was a new TCM, we decided to look in another direction. Performing a quick check with a voltmeter at the transmission case connector, we found there was no voltage supply on two of the pins. Looking at the wiring diagram, we found these two pins are being supplied voltage by a 10 amp fuse in the fuse block in the dash. You guessed it; it was a blown fuse was causing the no crank/no start condition. It’s amazing how the simplest items can get overlooked. One other note regarding voltage supply to the TCM: we have also found problems in the IPDM (Intelligent Power Distribution Module), which also sends ignition voltage to another pin on the TCM. Therefore, do not overlook the power and ground circuits on these vehicles when diagnosing this condition. We recently saw two vehicles with the same issue, all within the same week; it appears to be a common issue. I hope you find this information useful when trying to diagnose certain problems on the above vehicles. Sometimes it’s all about the basics; going the extra step to check all of the power and ground supplies, which play a critical role in today’s computer-controlled vehicles.